Do you know where the idea of wedding cakes as we know them today came from? 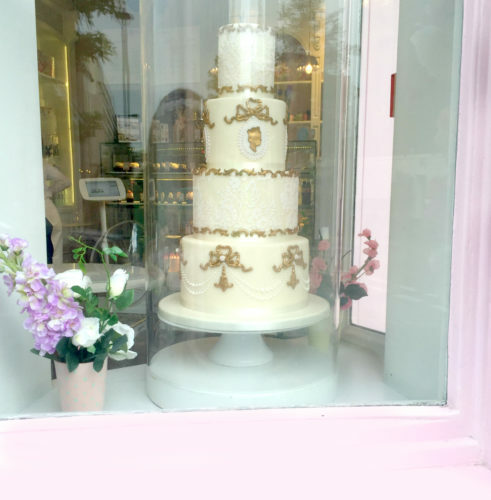 “The one cake that really made all the difference and sparked the sugar craft in England was Prince Albert and Queen Victoria’s wedding cake, because it was the first traditional wedding cake as it is known today,” says Porschen of the 1840 cake which reportedly measured three yards in circumference and weighed over 300 pounds. Now, that is a cake worthy of royalty! 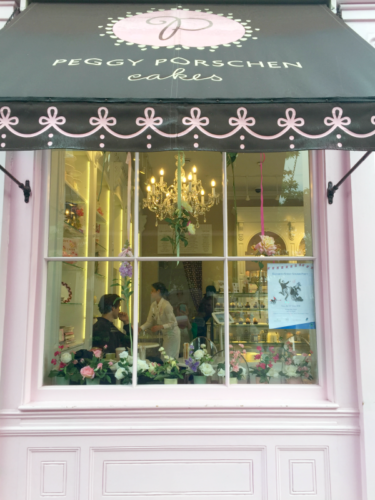 Equally as decadent and exquisite are Peggy Porschen’s cakes and little sweet delights! 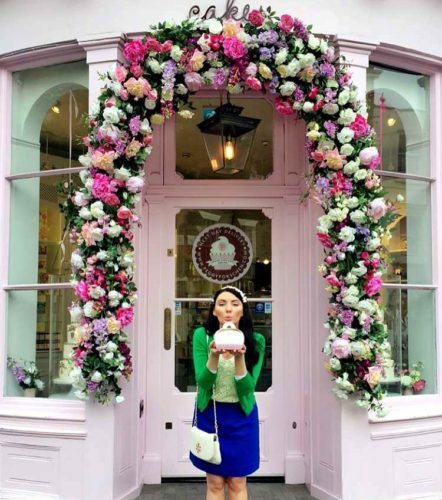 The Parlour is a must-stop place in London to dine on elegant slices of cake in one of the cutest cake parlours I’ve ever seen. 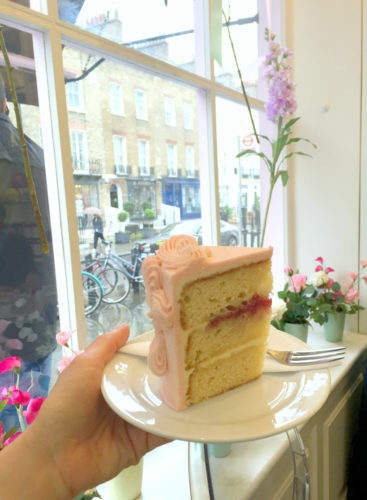 When you are there, you must try the Glorious Victoria Cake, because it is what I imagine heaven to taste like! Dusky pink buttercream covers layers of vanilla spongecake with raspberry jam in-between. The slices are generous in size and decorated absolutely gloriously, fit for a queen. 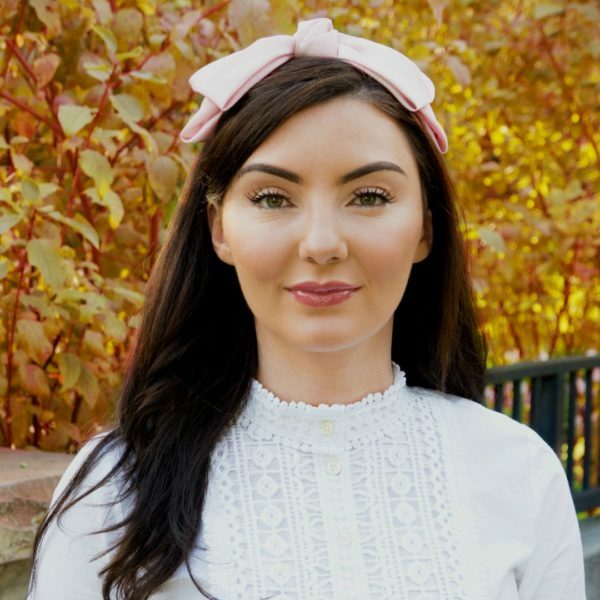 Enter to win a darling ‘Peggy Pink’ Pashley Bicycle! 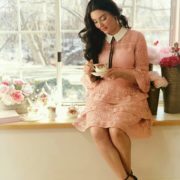 How cute is that place! Love the entryway!!!! Omg seriously that is the cutest boutique I’ve ever seen! That arch of flowers is the best! 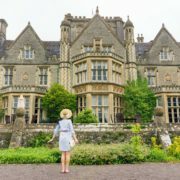 This place is adorable from start to finish. 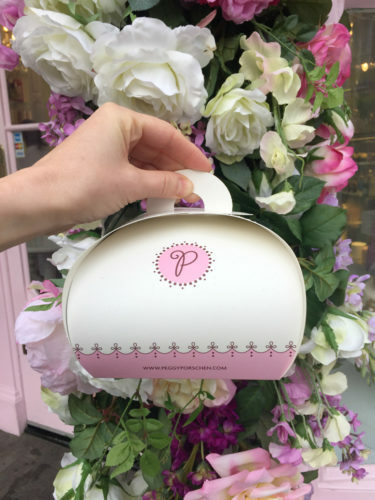 Truly, the location is darling, the cakes look divine, and even the packaging is pink perfection. 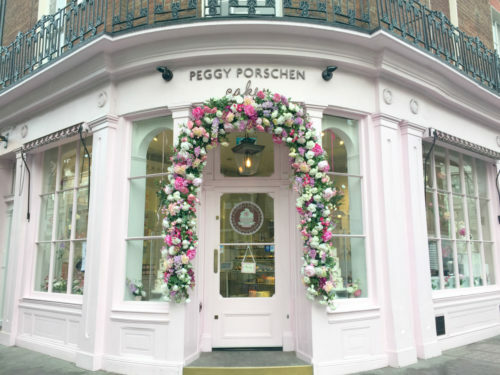 I would love to visit here one day and enjoy the sweets! 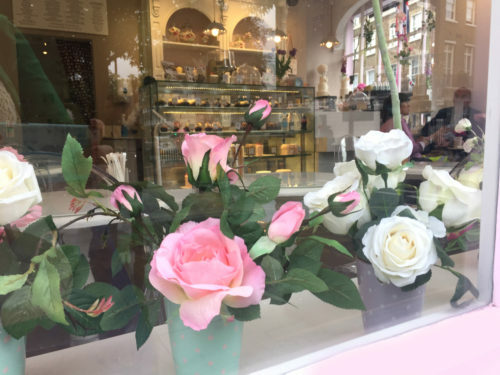 This place is so cute, and the cakes look delicious! 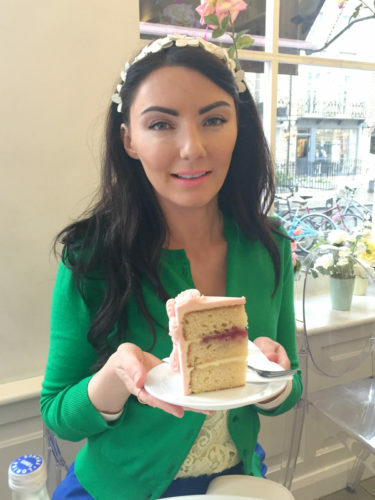 I want to try the Glorious Victoria cake! What a gorgeous spot! I didn’t know that fun fact about wedding cakes, I will have to use that at trivia sometime! 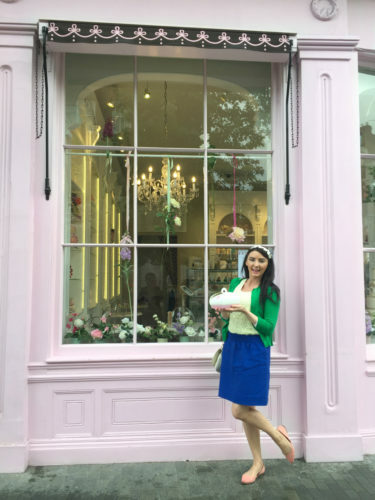 This is the cutest little boutique and that cake looks so delicious!